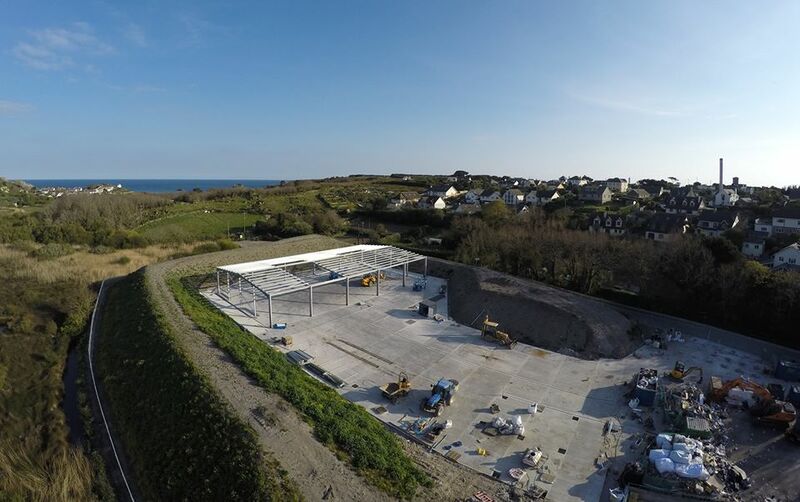 The Porthmellon Waste Managment Site on St Mary's during construction earlier on in the year. Image courtesy of SCY TV and Merryn Smith. It's been announced today that the Council of the Isles of Scilly will launch a pilot recycling collection round for residents of Telegraph and McFarland’s Down on St Mary’s in January 2018. The scheme will enable householders to separate paper, cardboard, plastic and tin cans for recycling alongside their normal waste collection. Bottles will still need to be taken to the recycling banks as normal (tin cans can be taken to Bring sites too, if residents prefer). Residents taking part in the pilot have now received clear sacks and information explaining what to do and when the collections will start. The aim of the pilot is to test that the new collection round works ahead of a wider roll out to all St Mary’s households later in 2018. The Waste & Recycling team will be using the pilot to make sure the collections run smoothly, that the information provided is clear and that the materials presented for recycling are in suitable condition. Residents will be asked to give as much feedback as possible so the Council can make any necessary improvements. The Council has also announced today that they will be offering an Assisted Collection Scheme for St Mary’s residents. The scheme is intended to help people who have trouble moving refuse bins/bags to the kerbside collection point due to ill-health, infirmity or disability. You may be eligible if there is no one living with you over the age of 16 who can help. To apply for assistance, you can contact the Council on 01720 424000 or email infrastructure@scilly.gov.uk and we will send you an application form. Those residents who are eligible for Assisted Collections will also be able to have household electrical items collected by the Council for recycling. Collection of these items will require you to book a slot by calling 01720 424000. If residents would like more information on the pilot recycling scheme please contact the Waste & Recycling team on 01720 424000 or email infrastructure@scilly.gov.uk.